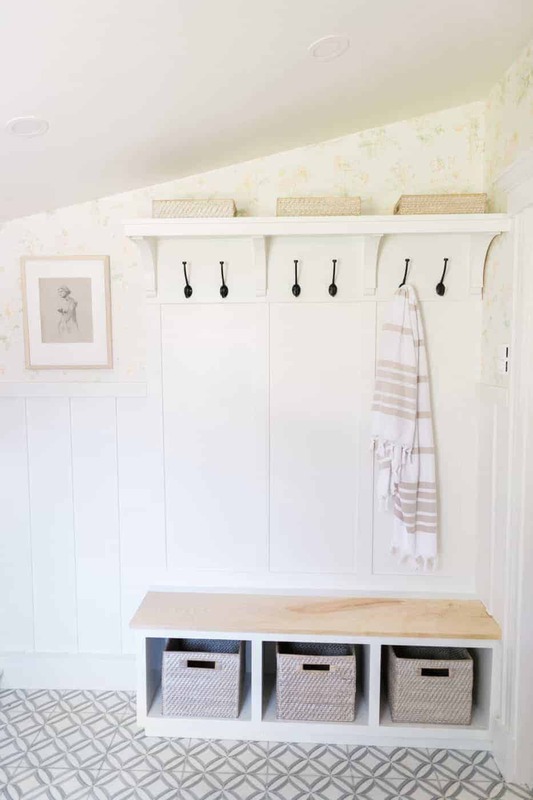 Today on the blog, we are so excited to finally reveal this whimsical mudroom renovation by the talented Jacquelyn Clark. This is actually the third time we have worked with the Toronto interior designer and we are always left speechless by her ability to transform a space (check out her Master Bath Reno and Foyer transformation). 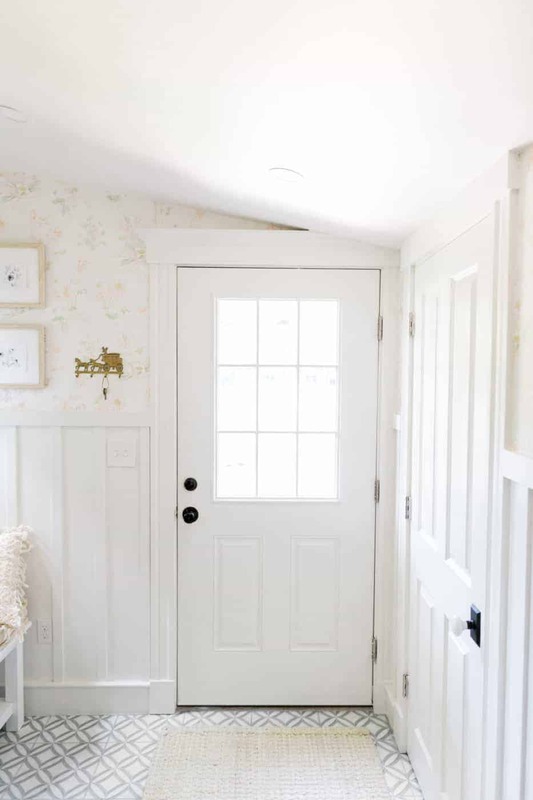 The minute we saw her renovation plans for Jess’ mudroom, we knew it was going to be amazing. 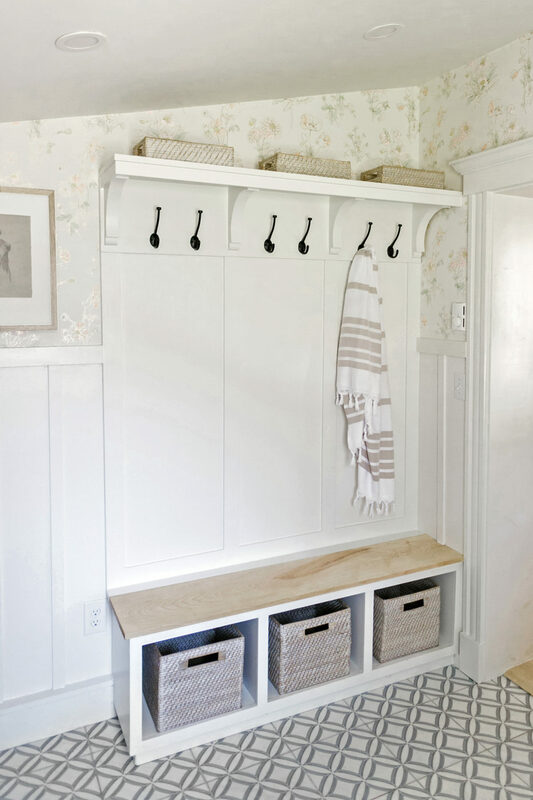 One thing we love most about this mudroom transformation is the attention to detail. 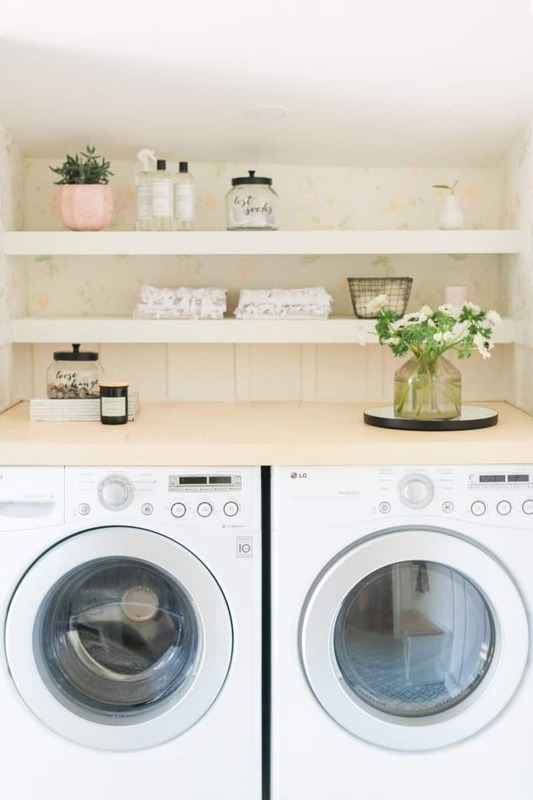 Some of our favorites would have to be the antique coat hooks, modern farmhouse storage bins, and of course the whimsical wallpaper from Anthropologie. She adds just the right amount of decor without overcrowding a small space or making the space look too busy. 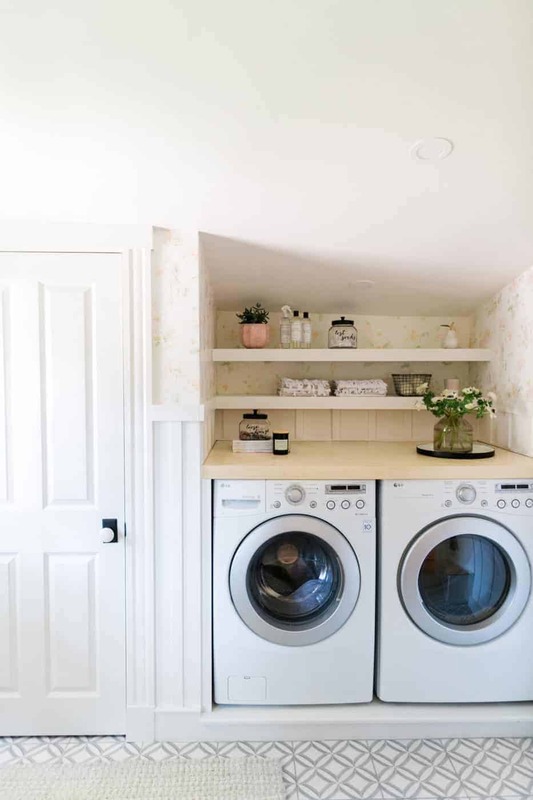 Jacquelyn was even able to add in a washer and dryer to make make it a dual mudroom and laundry room! It is amazing to see how Jacquelyn was able to fit so many details into such a small space. Because of space limitations, Jacquelyn had to find a way to add in stylish seating that could also serve as storage. 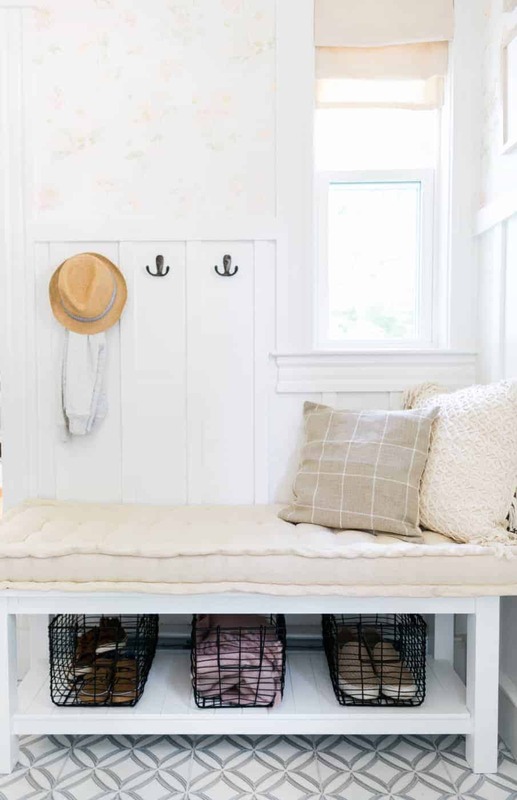 She chose a white bench and combined it with wire storage bins. 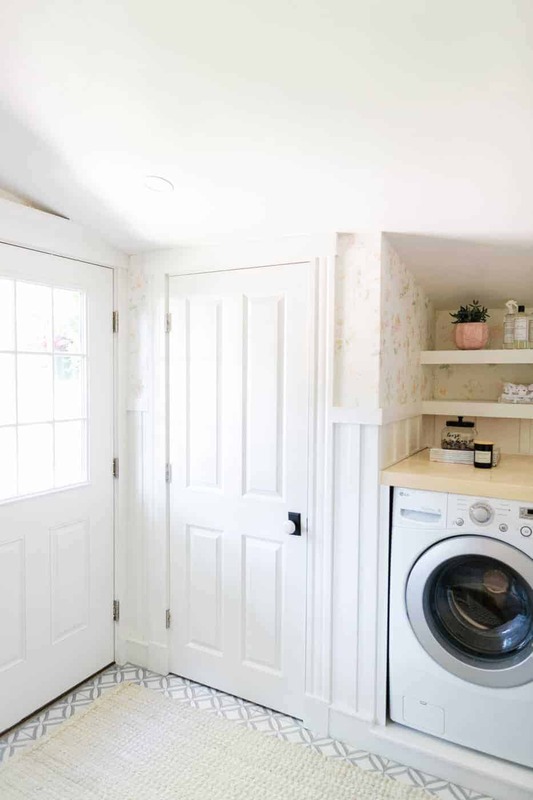 Head on over to Jacquelyn’s blog post about this whimsical mudroom renovation to hear more about the inspiration behind the transformation and how she worked with her client to create her dream space!